The CPI(M) on Monday proposed "no mutual contest" for the upcoming Lok Sabha elections in six seats currently held by the Congress and the Left Front in West Bengal, in a move to untangle the formula of seat sharing between the two political blocs to consolidate anti-BJP and anti-TMC votes. The state Congress leadership, however, said it is ready to fight the polls alone if the Left Front does not leave for it the two parliamentary seats -- Raiganj and Murshidabad, which are Congress strongholds. While the Congress won four seats in the state during the last national polls, the CPI(M) won only Raiganj and Murshidabad, which have been the bone of contention between the two sides since the beginning of the talks for seat sharing. In 2014, the CPI(M) won Raiganj and Murshidabad in a four-cornered contest, though they have been traditional Congress strongholds. While Uttar Dinajpur's Raiganj has been a pocket borough of Congress stalwart Priya Ranjan Dasmunsi, Murshidabad's politics has been dominated by the party's firebrand leader Adhir Chowdhury. Raiganj is represented by CPI (M)'s Mohammad Salim, while Badaruddoza Khan represents Murshidabad. 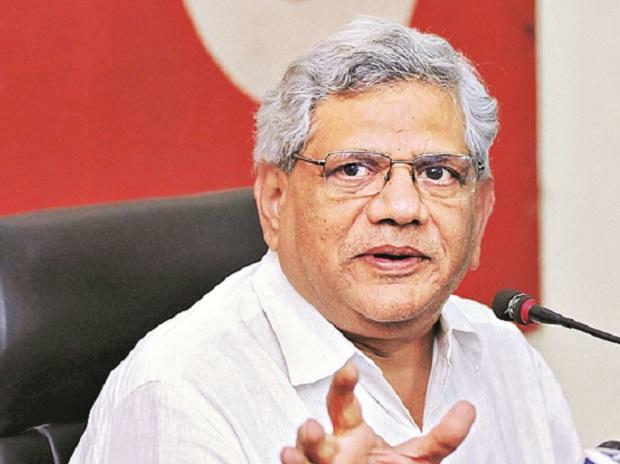 "In West Bengal, the Central Committee had earlier decided that the CPI(M) will adopt suitable tactics to ensure the maximisation of the pooling of anti-BJP, anti-TMC votes," CPIM General Secretary Sitaram Yechury said. "In accordance with this, the CPI(M) proposes no mutual contest in the present six sitting Lok Sabha seats, currently held by the Congress and the Left Front," Yechury said. For the rest of the seats, the Left Front in Bengal will decide on March 8, he added. The decision on these six seats was taken at a Central Committee meeting of the party on March 3 and March 4. On the proposal by the CPI(M), the Congress has not made any decision officially, but a senior leader privy to the seat sharing discussions with CPI(M) told PTI that the party will not compromise on the two constituencies -- Raiganj and Murshidabad. "There are two prevailing views in the party. One: we fight alone in Bengal as it is a Lok Sabha election where the fight is between the Congress and the BJP. Two: we share seats with the CPI(M). But there will be no compromise on our demand for Raiganj and Murshidabad seats," the Congress leader said on condition of anonymity. "Raiganj and Murshidabad have long been a stronghold of the Congress. We lost these seats with a very small margin in 2014 due to a four-cornered contest. But this time we are confident of winning those two seats," he said. Senior Congress leader and chairman of the state coordination committee, Pradip Bhattacharya, who is part of the parleys with the Left, said, "It is a decision made by the CPI(M). We are yet to take a call on this matter. We are hopeful that by end of this week we will decide on this." Later in the night, the Congress issued a statement saying the party had started with "great hopes" the seat sharing discussions with the Left. "But it needs to be mentioned that certain geographies have been historically Congress bastions and we find it difficult to ignore our supporters in such constituencies. As a result, we are yet to arrive at a conclusion. But we will discuss and submit our recommendation to the AICC and Congress president very soon," it said. The two parties had a similar tactical understanding in the 2016 assembly polls. In the last general election in 2014, the CPI(M)-led Left Front won only the Raiganj and Murshidabad seats. The Congress had won four seats -- Maldaha Uttar, Maldaha Dakshin, Baharampur and Jangipur. Maldaha Uttar MP Mausam Noor joined the Trinamool Congress recently. Congress' Adhir Chowdhury met party chief Rahul Gandhi in Delhi and discussed various aspects on the proposed seat sharing. At the meeting, Gandhi has enquired about the positives and negatives of the seat sharing with the CPI(M) in Bengal, according to Congress sources. Chowdhury has briefed Gandhi about all the aspects of the proposed seat sharing and the hurdles. "During the meeting Adhir Chowdhury also said that the Congress workers in Bengal are of opinion that the Congress should either go alone or go for seat sharing with the Left. "But under no circumstances should the party align with the TMC in Bengal as it would be a severe jolt to the organisation in the state," a senior Congress leader, privy to the development, said.